Living in Florida, we spend a lot of time outdoors. 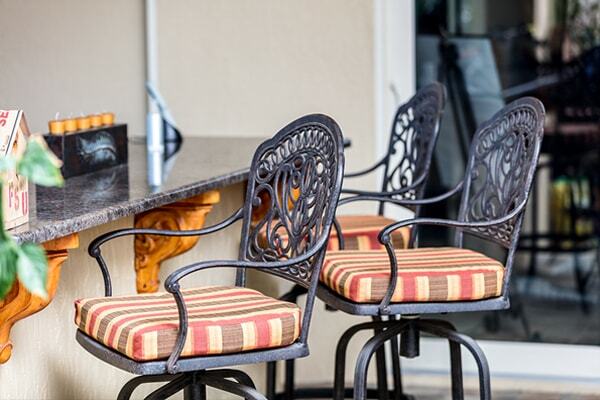 Many residents live their days on their lanai or patio. We have fabrics to create fade resistant cushions for your furniture. Rust resistant drapery rods to hang outdoor panels. 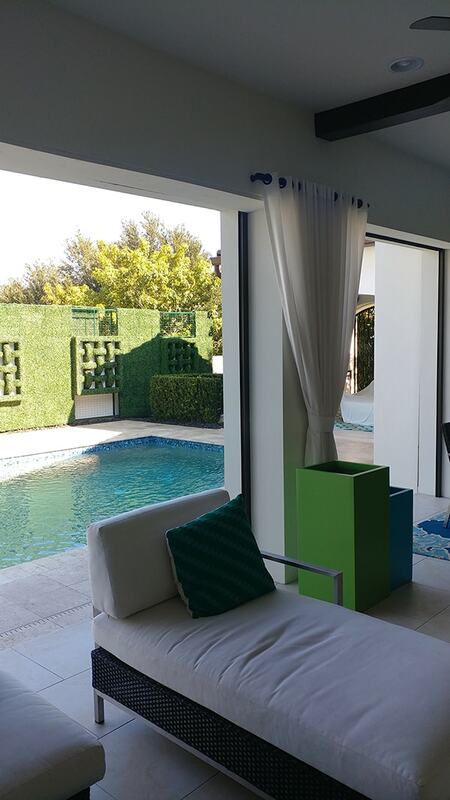 We have the largest selection of Sunbrella fabrics to choose from in our showroom. Our #1 best selling outdoor product is the solar shade. 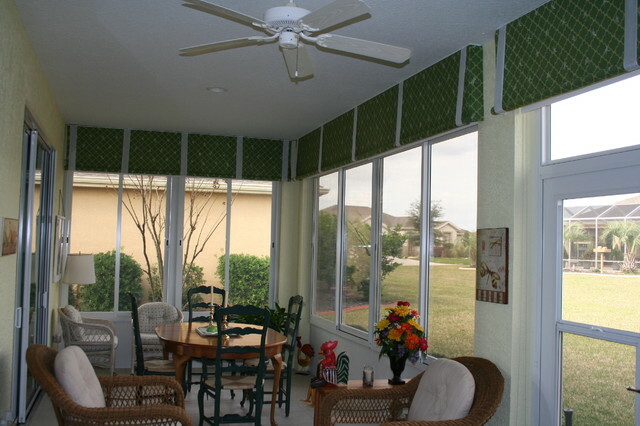 Ask us how they can help block out the harmful Florida sun rays from overtaking your patio or sunroom.